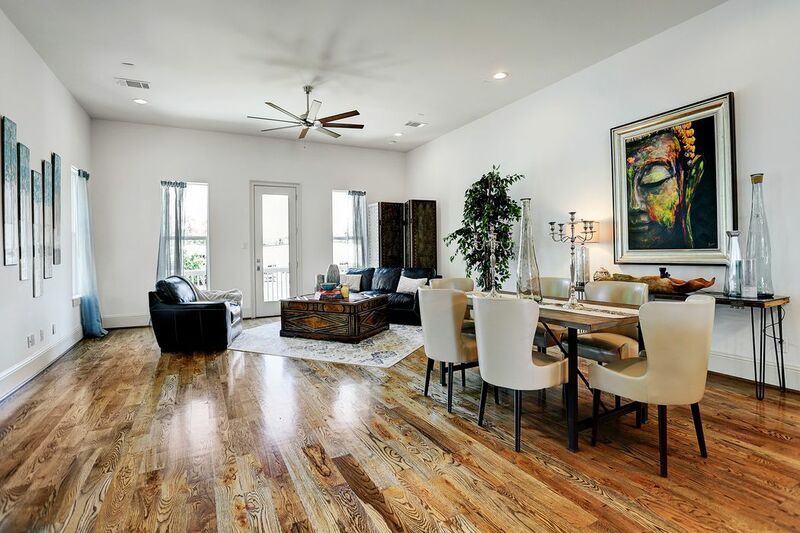 3802 Olde Bourbon, Houston, TX 77018 | Martha Turner Sotheby's International Realty, Inc. 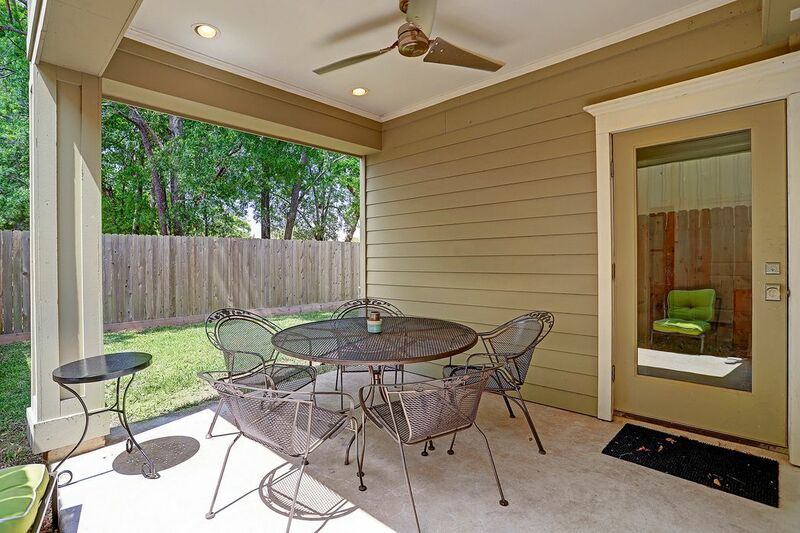 Wonderful, freestanding home in sought after neighborhood. Roomy balconies on levels 2 and 3 along with a rear covered porch provide lots of outdoor space. 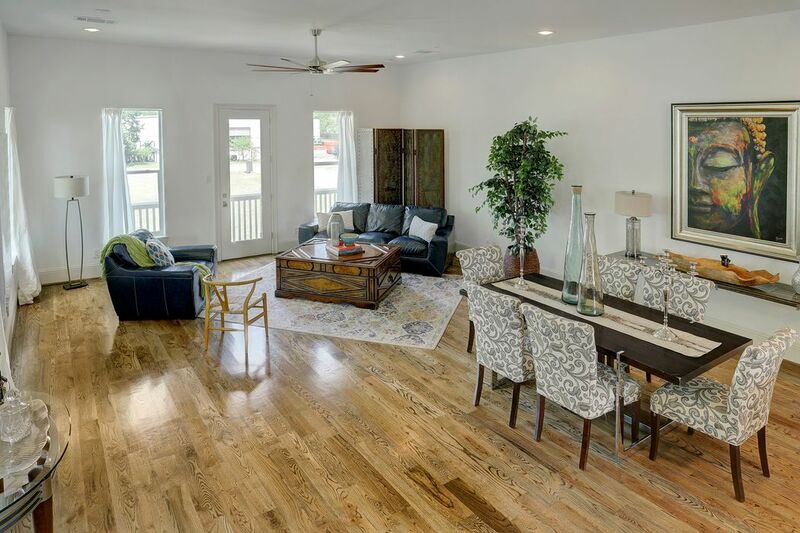 2nd floor living room features rich hardwood flooring that is highlighted by the natural light brought in through the windows. 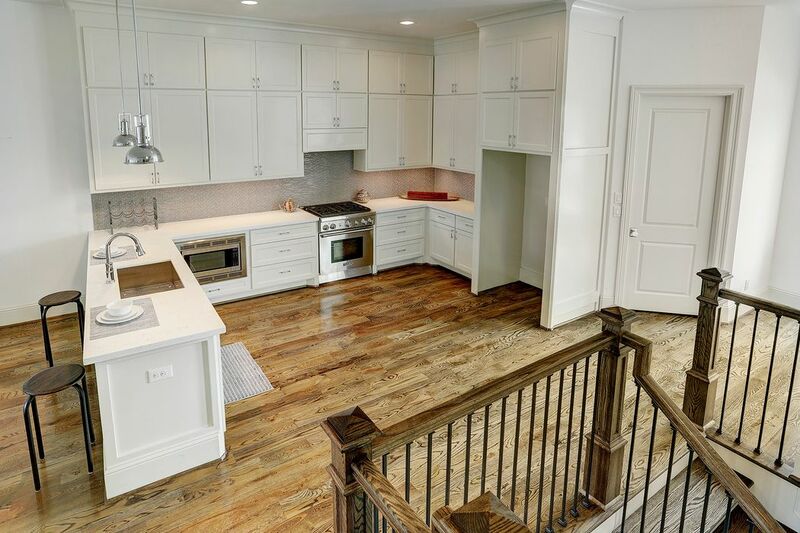 View of spacious kitchen with cabinetry to the ceiling and completely tiled backsplash. 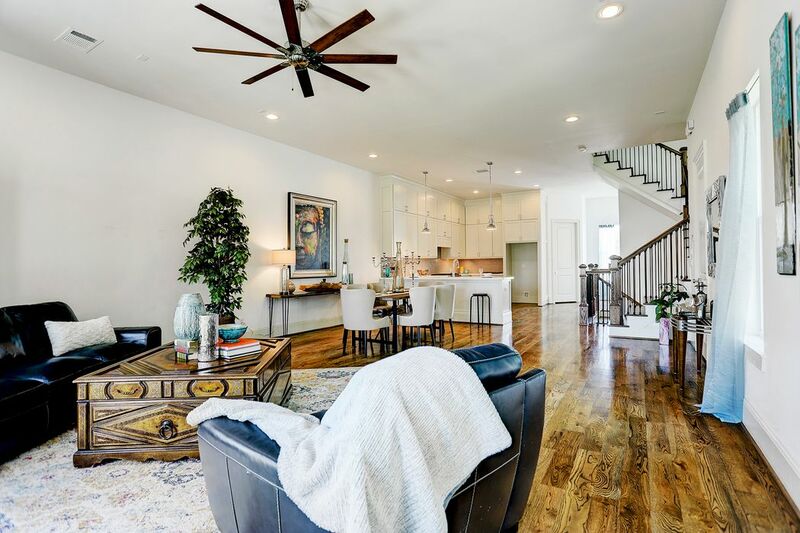 Open floorplan for living, dining, kitchen transitions seamlessly between casual pizza nights and formal entertaining. 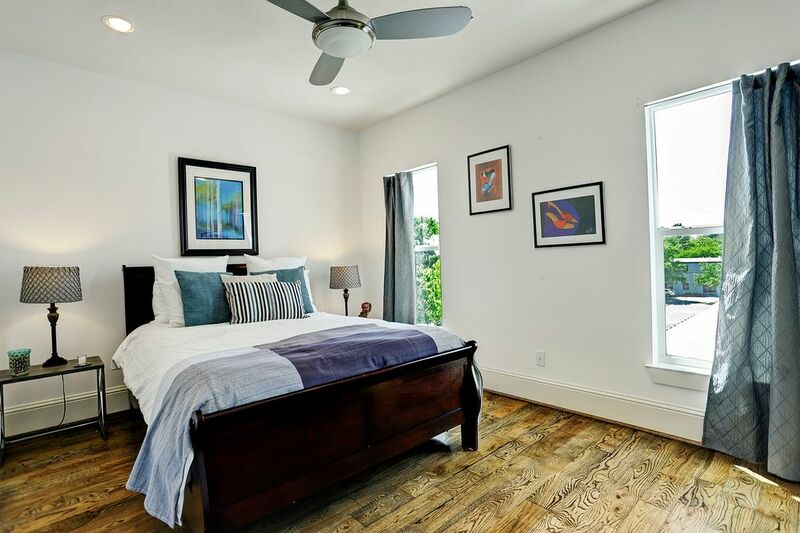 Spacious master bedroom has enough room for a king sized bed and a couch with chaise lounge. Direct access to balcony perfect for enjoying a morning coffee or evening nightcap. 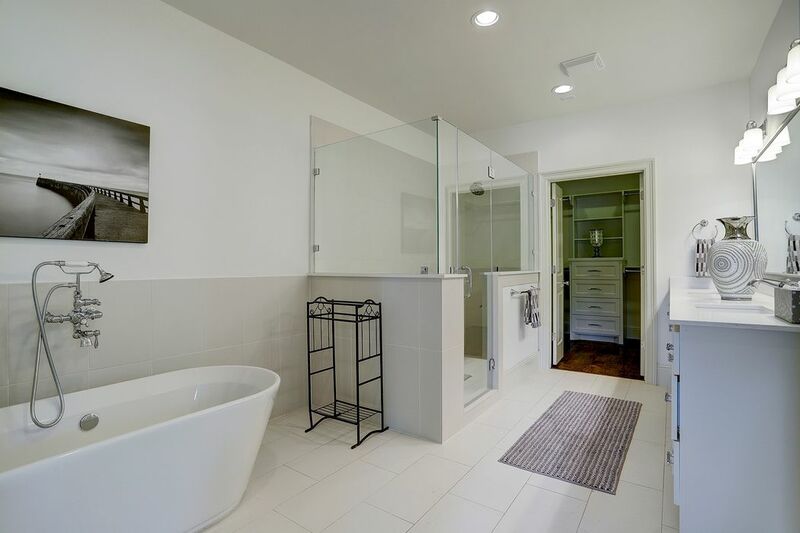 Relax in the master bath with contemporary freestanding soaking tub and oversized walk in shower with frameless glass enclosure. 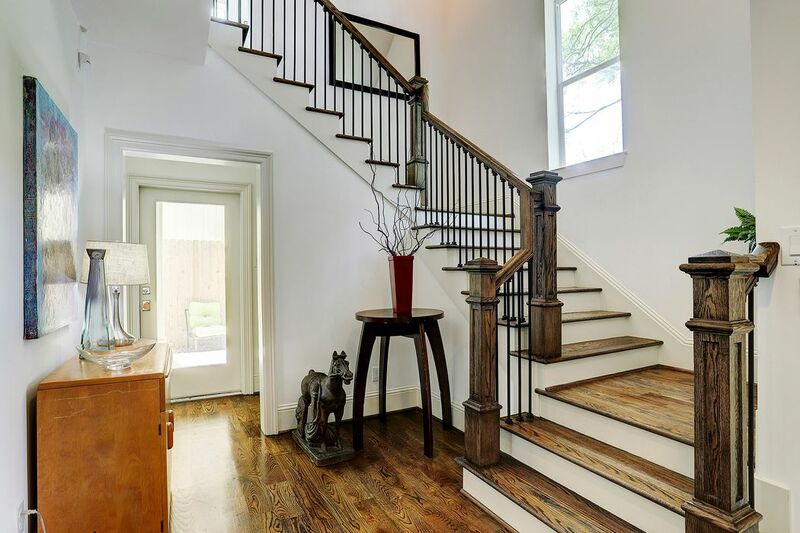 Welcome guests into your grand with double height ceiling above the wraparound staircase. 1st floor bedroom with ensuite bath could also be used as a home office/study as shown here. 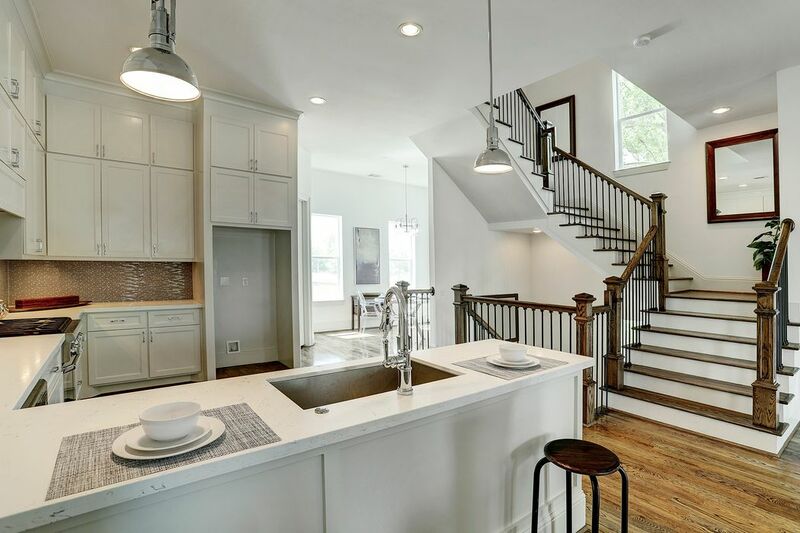 Spacious kitchen with quartz counters features shaker style cabinetry built to the ceiling. 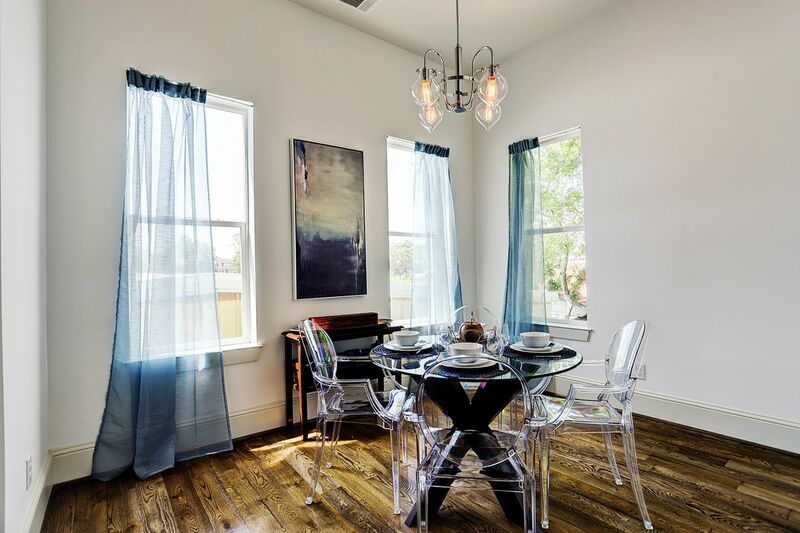 Breakfast room off kitchen is large enough for a casual dining room. Breakfast room off kitchen can be also be used for casual dining or a study/gameroom. Dining/living room has direct access to 2nd floor balcony. Balcony is wonderful for grilling with easy access to kitchen. 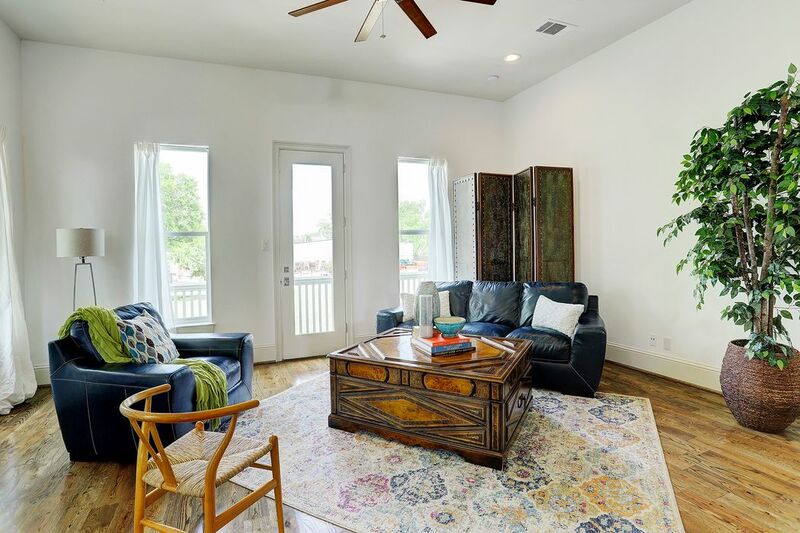 Living room features high ceilings and an architectural ceiling fan. View from living room to dining room and kitchen. 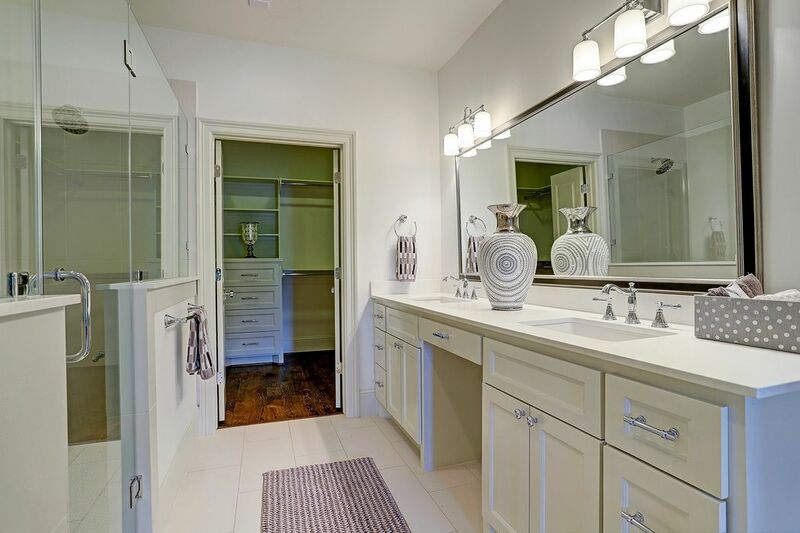 Master bathroom features a double vanity with cutout for vanity chair accented by a full length framed out mirror. 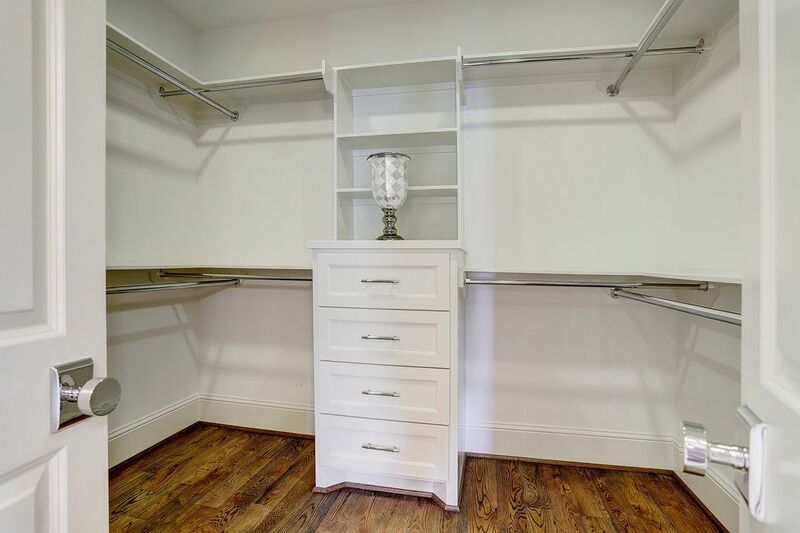 Master closet features a built in dresser and shelves with chrome hanging rods. Secondary bedroom on 3rd floor has wonderful treetop views and a private en-suite bathroom. 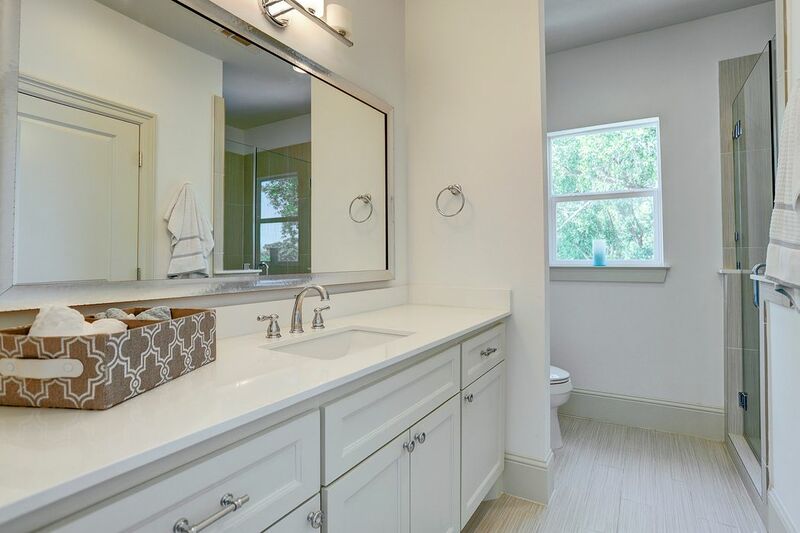 Private en suite bathroom with oversized vanity. 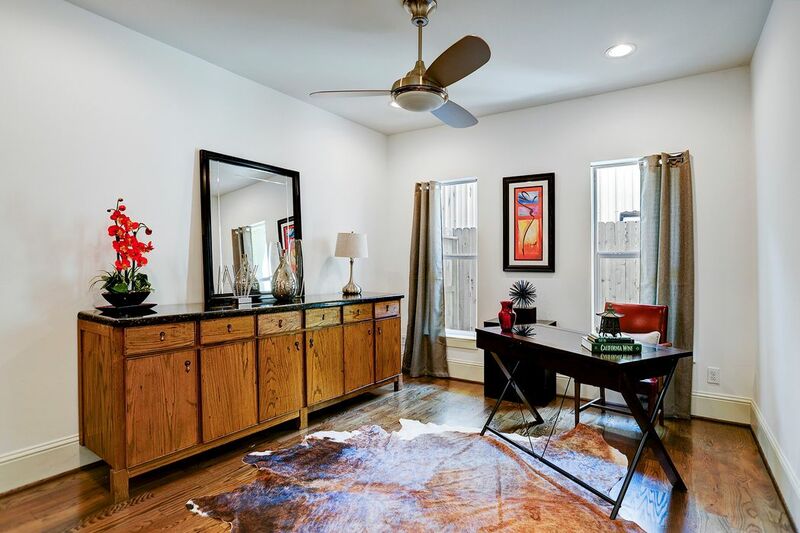 $439,000 3 Bedrooms3 Full / 1 Partial Baths2,860 sq. ft. 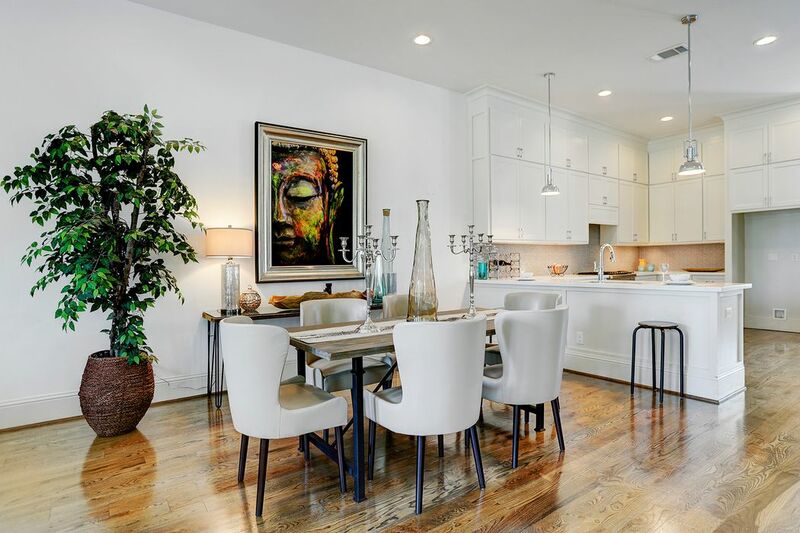 Ideally located in Oak Forest with easy access to the whole city. Home is perfectly nestled in a lovely neighborhood. 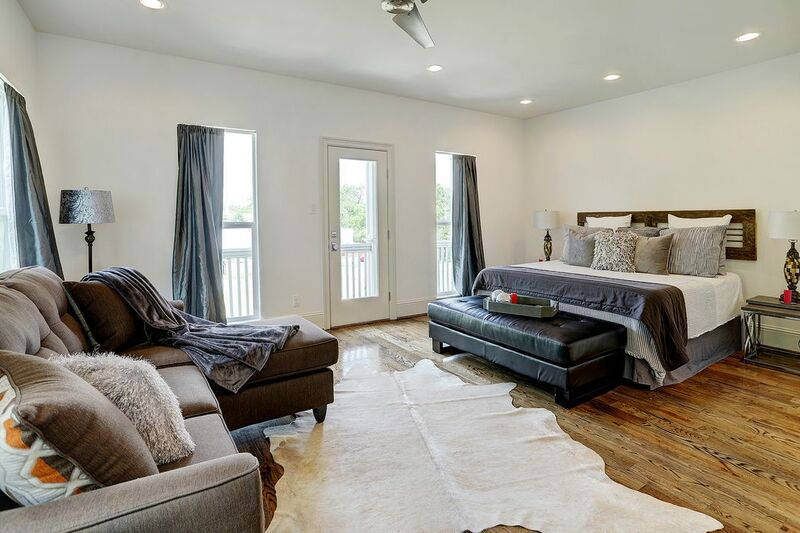 Luxurious finishes include high ceilings, 5'' wide white oak floors, Thermador appliances, designer lighting and ceiling fans. 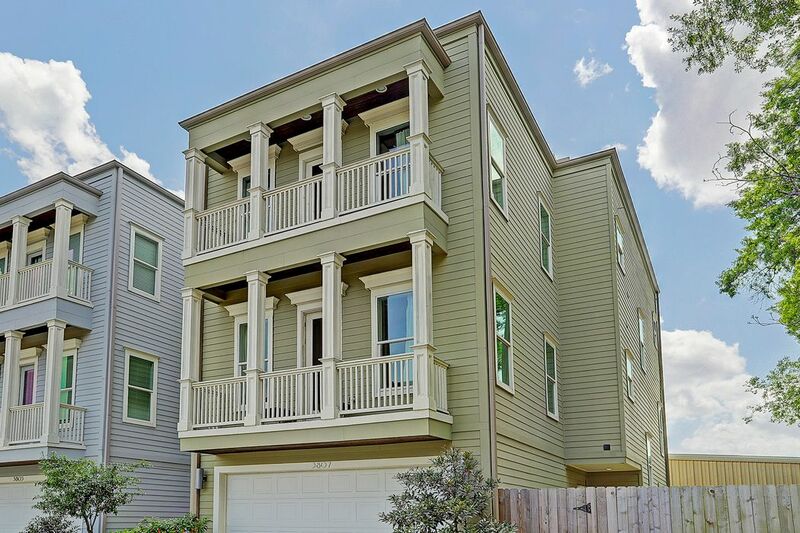 Enjoy the outdoors on the two front facing balconies or the rear covered porch.